Editor’s Note: This article includes details about the author’s suicidal attempts. It was as if I had sunk into a sea of emptiness. In despair, all I could do was curl up in a ball, hold my breath, and hope that life—and my pain—would end quickly. But my willpower could not overcome my body’s survival instincts. I held my breath until the most unbearable moment, but then my tightened muscles loosened, and breath returned. On that cold and lonely night, I cried until my voice was gone. But nobody would ever know. Nobody would ever care. From a young age, throwing tantrums, yelling loudly, and bullying my brother were staples of my life. I had “second-child syndrome,” and always felt that I was the child with the fewest achievements, so I was the least respected by my parents. My grades were not as good as my younger brother’s, and my extracurricular activities were not as impressive as my older sister’s. Because of my low self-esteem, I would resort to extreme words and actions to express my displeasure at the smallest things. This wore my parents out. Even if they angrily beat or scolded me, I would do the same things again the next day. As I entered the rebellious stage of adolescence, I was always ill-tempered at home, often blaming my strict father of few words and my often angry mother. Even though I had many friends around me, I felt like there was a bottomless dark hole in my heart. The emptiness I felt could not be filled by any amount of laughter or jokes. Everyday I went to school, and after school went to tutoring and extracurricular activities. . . Life looked busy, but it was all so meaningless. All this prompted me to wonder about the meaning of life, and eventually I started thinking about ending my life. Various plans circled in my mind. I once motioned a razor over my wrist, but could not bring myself to cut down on it. I also tried suffocating myself under the blankets, but ultimately gave up. The furthest I went was when I grabbed some rope and was going to hang myself from a tree right in front my mother, much to her frustration. Naively, I thought that after death I would be reincarnated, and could start anew with a whole new family and environment. At some point—I forget when—I started receiving a gospel publication for young people every month. Flipping through the fresh designs and rich content of the booklets, I was introduced to Christianity. As I read more about it, I realized that what awaits us after death is judgment, not reincarnation. Everyone will be responsible for their own actions carried out during their life on earth, and must give an account of it before the God who gave us our lives. Once I started thinking about all the mistakes I made—all the ways I hurt people who loved me— I knew that if I really took my own life, I would face great punishment. I trembled in my heart. Thankfully, God had mercy on my weakness, and had stopped me each time I tried to carry out my plans of suicide. Not only that, the knowledge that He even sent His only son Jesus to the world, who willing sacrificed Himself on the cross to wash away my sins so I may be reconciled with God drew my attention. I was amazed at God’s promise that anyone who believes in and follows Jesus can build a relationship with God and enjoy Him throughout our lives. This was such incredibly wonderful news! And so, I became interested in getting to know this God better. However, I was worried about my parents’ disapproval, so I didn’t go to church even though I wanted to. But one day, my older sister committed her life to Christ under the guidance of a friend, and I had the opportunity to follow my sister to church. On that day, I accepted Jesus as Savior and Lord of my life. I have now been a Christian for many years. The precious truths in the Bible have led me out of a life of self-blame and self-pity. God’s words have refreshed my soul (Psalm 23:1-3), and reshaped my worldview. I realized that my existence was not a mistake, but my life was purposefully knit together by a God who loves me. Because of the life I now have in Christ, He watches over every step and decision I make. Whenever I start comparing myself with others again, or falling into depression and loneliness, the words of the Bible are like a soft voice by my ear, calming my distressed heart. In my father’s family, there is a history of systemic lupus erythematosus (also known as lupus). Sadly, my cousin, was also diagnosed with lupus at the age of 19. Her health declined quickly, and she needed to be on dialysis. Even though she had to quit school because of her health, she still achieved top grades in the Malaysian Certificate of Education exam (an exam Malaysian students take at the end of high school). But her health worsened quicker than anticipated. While her peers were preparing for college, she was sent to the hospital for major surgery after major surgery. She was so sick she could not eat, and became thinner by the day. In the end, she could not overcome the disease, and breathed her last while in the hospital. So her short and difficult life came to a close. As we said goodbye to my cousin, my family and friends all felt that it was such a pity that she had such a short life. Her departure once again reminded us of the preciousness of life and how life, once it’s lost, cannot be regained. Thinking back on how lightly I treated my own life, I feel incredibly ashamed. Even though we can’t control the circumstances and difficulties we face, but we can decide how we choose to respond to them. When I look back at my past, I cannot imagine where I might be today if God had not led me to Himself. Perhaps I would be like a withered leaf, wandering in the vast ocean of life, searching in vain for the meaning of my existence. My suicidal attempts helped me realize that “the thief comes only to steal and kill and destroy” but Jesus came that we may have life, “and have it to the full” (John 10:10). Even when we find it difficult to accept ourselves, God’s Word assures us that He values us and desires to offer us the hope of new life. If your life feels empty and meaningless, and you’ve been entertaining thoughts of suicide, will you choose to take up His offer today? A Letter to SHINee’s Jonghyun: What If There was Hope? I was in disbelief when I first heard the news that you took your own life. I didn’t believe it was real. I thought it was a hoax, a sick prank someone had played. I couldn’t believe someone as jovial and happy-go-lucky as you would ever commit suicide. It was only until I read various media reports on your death and the official press release by your management company, that it finally hit me: I would never get to see your cheerful face and your cute expressions, or hear your angelic voice again. I had always thought that you would use your voice to bring happiness to those who love your music. That I would get to see you releasing your next self-composed song, reuniting with the rest of SHINee, serving the nation, getting married, and even becoming a father in the future. It never crossed my mind that you would choose the lonely road of no return. I’m so sorry that I only learned of your struggle with depression after reading the letter that you sent to your friend, Nine from Dear Cloud. In it, you wrote that “the depression that was slowly devouring me at last consumed me”. On behalf of other Shawols who have supported you ever since you debuted in 2008, I’m truly sorry that we were unaware of all the pain and exhaustion you felt. It feels particularly sorrowful to hear of your passing in this season of Christmas, and to think that you won’t be around to spend it with us. For all those who love you, this Christmas is going to be exceptionally difficult to go through. It’s not your fault for falling into depression and despair. But I wonder if death was the only way out for you? I wonder if you would still have made the same choice if you knew about Jesus, our true hope? If you had known that 2,000 years ago, a baby—Jesus Christ—was born among us and His arrival brought light into this world of darkness and despair, and that He bore our sins and sacrificed Himself on the cross in our place so that we could have true joy and everlasting hope, would that have given you the courage to cling on despite the despair you felt? It’s heartbreaking that we’d never be able to know the answer to this “if”. 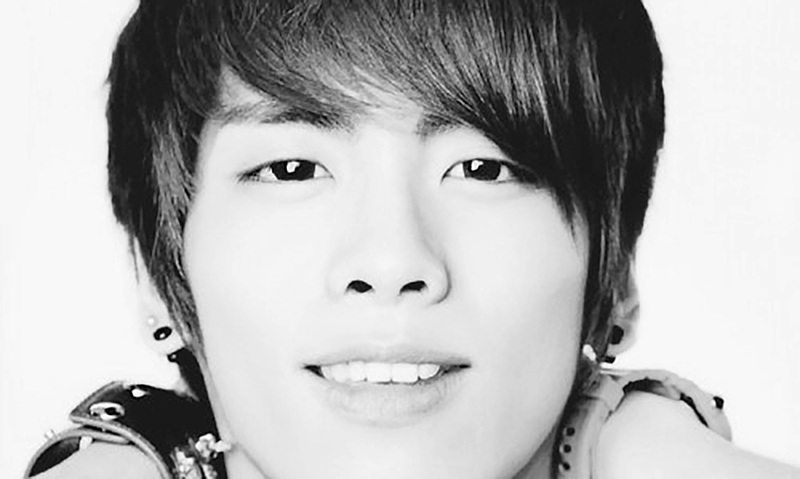 Dearest Bling Bling Jonghyun, it saddens me that I would not have the chance to call you by this name again. You’ve worked hard and we will always miss you. Finally, I wish that nobody on this earth will have to feel the despair and hopelessness you felt, because there is an everlasting hope who can give us the grace to face the challenges of tomorrow. https://ymi.today/wp-content/uploads/2017/12/Jonghyun.jpg 613 1024 Contributor https://ymi.today/wp-content/uploads/2017/05/ymi-logo-black-3.png Contributor2017-12-20 11:00:242017-12-20 11:19:51A Letter to SHINee’s Jonghyun: What If There was Hope? Pills and broken glass, tears and blood, fear and despair. It was one of the darkest nights of my life. I didn’t want to do it yet I couldn’t see how to face the next day. The pain of ending everything there and then seemed lesser compared to the pain of going on. I lay down in bed, waiting to bleed out and knock out, to sleep the last sleep. I was 19. Two years before that night, shortly after I entered junior college, I lost interest in my studies. It was a very stressful time for me. My grades took a nosedive, which made me even more unmotivated. I slept a lot and my mood was low most of the time. There were times when I’d cut myself. I thought that experiencing physical pain was the only way to express and cope with my inner pain. I didn’t know why I was feeling that way. A few months after my A-Level examinations, I received a letter from the Ministry of Defence informing me of the date of my enlistment into National Service (NS)*. That’s when my world came crashing down. You see, I wasn’t an athletic or sporty kid growing up. So my parents often told me that if I didn’t build myself up physically, I wouldn’t be able to make it through the rigors of NS. I understand now that that was their well-intentioned way of motivating me to be more prepared, but all through my teenage years, I took their comments to mean that I was inadequate for, and so would not survive, military life. Since secondary school, I also struggled intensely with not being able to fit in with the other boys in class and I realized I was attracted to guys. So the idea of being stuck in a hyper-masculine military environment with other guys terrified me and I was worried of what might happen if they knew I was gay. All of my worries added up into a deep fear of enlistment. 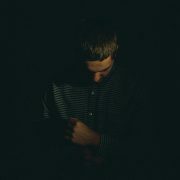 I began to desperately plead with God to engineer a miracle to get me out of this situation. I made bargains with Him. If only He’d take this away, I promised to do certain things in return. I spent nights lying in bed with fearful thoughts and frantic prayers, crying myself to sleep, and getting up again in the middle of the night to beg Him to make this go away. But the days went by, and nothing happened. I met up with my closest junior college friends for the last time, I researched quick and painless ways to die, and I wrote my final letters to my family members. All through that time, fear was building up in my heart and intrusive dark thoughts kept running through my mind. On the one hand, I didn’t want to end my life, but on the other hand, I believed this was the only exit from the situation I dreaded so much. I struggled with troubling questions of whether God would forgive me if I committed suicide. Was it a pardonable sin or an act so heinous that I’d be condemned to hell? Then came the day before my enlistment. There was still no miracle. I waited at night until all my family members were asleep, and carried out my plan. As I laid down in bed, I was banking all my hopes on the pills or the bleeding to get the job done. I wondered what I’d see on the other side of life. Would I see God? I didn’t succeed. I was still here. What was going to happen now? Well, what happened as I recovered was that I found out how much I was loved. Sure, I was aware before this that my parents loved me, but that was not something that I knew in any deep, experiential way. When I saw my mum crying her eyes out, I realized she cared for me much more than I’d believed. And I’d never seen my dad and grandma that anxious and heartbroken before. A close secondary school friend came to visit. She told me that the medical team had to pump the pills out of my body. My tuition teacher visited, and I was surprised to see her burst into tears. She read Psalm 121 to me to assure me that God would always watch over me and help me. After I was discharged, all my relatives came over, showing their concern and sharing their counsel in their own ways. I never knew the people in my life cared this much about me. I understood it as an act of grace, of mercy. Perhaps it was the tender and quiet way he said it. Or perhaps, it might be how he offered that statement to me as a gesture of kindness. He laid there before me the gift of a clean slate. That, perhaps, was the miracle. What my dad did was a small yet significant reflection of what my heavenly Father did for me: God offered to forget my sins and give me a clean slate, if I would accept and believe in the gift of His Son, Jesus. The particulars of my story may or may not be similar to yours, but the love and grace of the Father for you and me is the same, regardless of our present struggles or past mistakes. God is eager to heal and restore; He’s in the business of resurrecting lives. I saw a psychiatrist for two years after that. 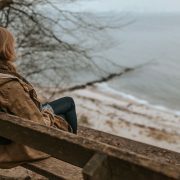 He helped me to recognize that I had been clinically depressed since my junior college days, and my depression had worsened as my enlistment date—what I’d deeply feared—drew near. Over time, with medication, counselling and a supportive Christian community, I got better. My enlistment date was deferred until several months later. During my time in NS, I experienced how God was faithful in bringing me through those years. I learned to know Him more truly as the God from whom my help comes (Psalm 121:1–2), the One who constantly watches over me and carefully keeps me from harm (Psalm 121:3–8). Today, you can still see scars, but much faded now, etched on my left forearm from that dark night. But because of the lavish love and merciful forgiveness of God, shown to me by the wounds of Jesus at the Cross, I can look at the scars of shame and see instead the marks of His grace (Isaiah 53:5). * National Service (NS) is compulsory duty in the uniformed services for all Singaporean males upon finishing their tertiary education (but before any higher education). This usually includes two years of full-time service. Behind him, a single stool stood next to the railing separating the flats on my floor from the ground, 10 floors below. It didn’t belong to my neighbor. Several policemen were stretching a white tape across the narrow common corridor in front of me. It didn’t take much to guess what had happened. In the old days, my housing estate was a popular spot for suicides; in those days, few buildings were this “tall”. Then, another thought. A neighbor a few doors down had been rather depressed after suffering a disability. But I spotted his door opening in the distance, as policemen went down the row, knocking on door after door. His thin hands emerged. Another wave of relief. The policeman then asked me if I minded looking at a picture of her face, to see if I recognized her. I didn’t. The woman had probably come from another block in the estate, and likely planned this in advance. She had brought her own stool, and had chosen to jump from the quietest stretch of corridor; the other part faced another block, and she would have been spotted. My block was also one of the quietest ones in the neighborhood. There was little else I could do. I walked out of my home, glancing over the railing along the way to take in the sight of a pitiful covered bundle lying on a concrete parapet, 10 floors below. I nodded to the policeman, ducked under the crime-scene tape, and took a lift to the ground. As I walked out of the estate, I was engulfed by a wave of sadness. I didn’t know the woman, but my heart went out to her. 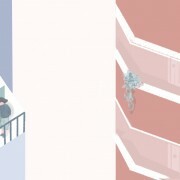 In an ageing estate populated mostly by elderly folk, it wasn’t difficult to guess why she had dragged a stool to my block of flats, taken the lift to the highest floor, climbed onto it, and hurled herself over the railing. Perhaps she didn’t have a family. Perhaps she wasn’t close to them or felt abandoned. Perhaps she was told about an incurable disease. Perhaps she felt that she had nothing left to live for. No love, no purpose . . . only loneliness and the certain prospect of years of emptiness stretching ahead. Nothing but hopelessness. Nothing left to live for. No hope. Death would have seemed to be the only escape, the only relief. If only my wife or I had happened to come out the door when she was there. We could have stopped her. If only we—or someone—had a chance to tell her: Please, don’t jump. There’s hope. Hope. Sometimes, it’s the only reason to go on living. When you’ve lost everything, and there’s nothing left to look forward to. When nothing is going right, and things don’t look as if they’re ever going to get any better. What stops us from taking the only way out? What stops us from going to the highest building, from taking a handful of sleeping pills? That person is Jesus. Having once lived as a man, He knows exactly how we feel. Our depression. Our loneliness. Our hopelessness. As the Son of God, He has the ultimate power to handle our situation. He knows what comfort and encouragement we need, and He will be able to give it to us. Some of us will still have to live through our challenging circumstances, but we’ll have the complete assurance that He’s walking alongside us—every day, every hour, every minute. And, the most important of all, we’ll be able to go on in life with this knowledge: Jesus loves me. I matter to him. I mean the world to him—so much so that He died to save my soul. He has a purpose for me. He placed me here for a reason. He wants me to live for him. When there’s absolutely nothing left to live for, when we’ve lost everything, we still have one thing. Jesus gives us hope. Hope to live. Hope to believe. If you’re feeling hopeless, if you’ve given up on life, if you’ve taken a stool and are heading for the top floor of a block near you, stop. Please stop. There’s someone out there who loves you. Jesus loves you.